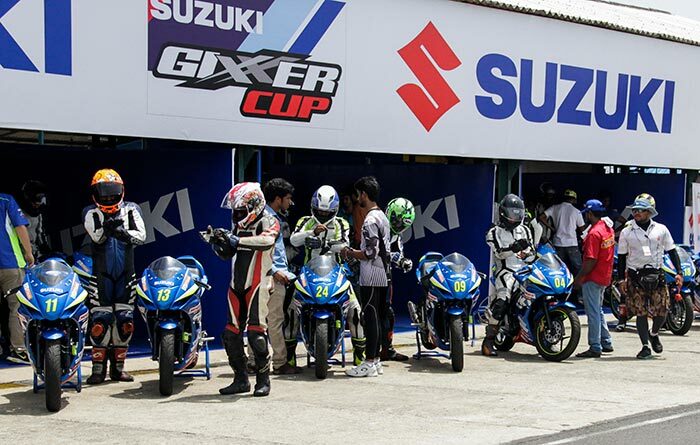 Suzuki Motorcycle India Private Limited (SMIPL), a subsidiary of one of the world’s leading two-wheeler manufacturers Suzuki Motor Corporation, Japan, hosted the second round of the Suzuki Gixxer Cup at the Madras Motor Race Track in Chennai from July 10 to July 12. The oldest racetrack in India was a fitting venue for this exciting race, with a large crowd of racers, friends, family and enthusiasts congregating during the extended weekend. The participants were eager to observe the results of some interesting upgrades made to the Gixxer SF race motorcycles. Friday consisted of a busy schedule of back-to-back practice and qualifying sessions for the Novice and Open category riders, and racers got a chance to show off their skills and test their mettle. We were extremely pleased to witness how easily Novice and Open riders could maneuver the Gixxer SF, and how rider-friendly the bike was. The biggest advertisement and endorsement for any product is when customers are enthusiastic and enjoy using it. Suzuki is proud to promote motorsport culture in India and we hope to have even more riders participate in the coming rounds of the Gixxer Cup. 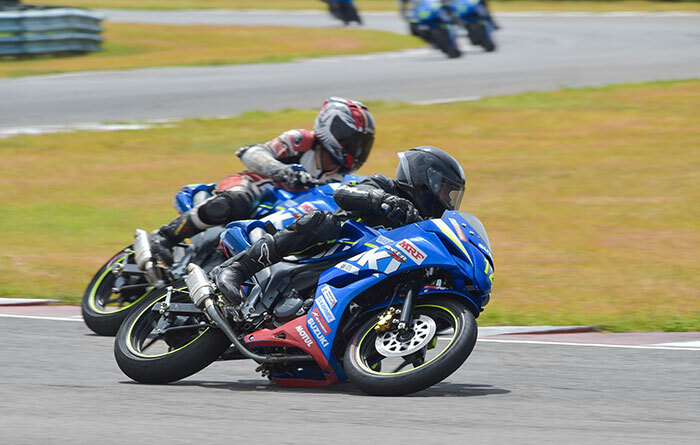 Due to the huge popularity of the Gixxer Cup and the overwhelming number of applicants, the novice category had to be split into two separate batches during the qualifying round to determine the final grid of the top 20 riders. An increasing number of riders have been encouraged to join this sport due to the extreme agility and user friendly features of the Gixxer SF. This is a positive indication of the growing interest in motorsport among young people. Enthusiasts witnessed some spectacular racing on Saturday and Sunday, with neck-to-neck competition among riders not only for the podium, but also in the mid-field. The Novice round was the scene of intense racing for the top 4 positions, with the podium finishers from Round 1 scoring the same positions in both races. The Open races were equally thrilling; the first race had a group of 4 leading riders who swapped places in the fight for the podium, chased to the finish by another group of 7 riders, who battled among themselves to get the lead positions. The second race upped the action with more overtakes than the mind could keep track of. 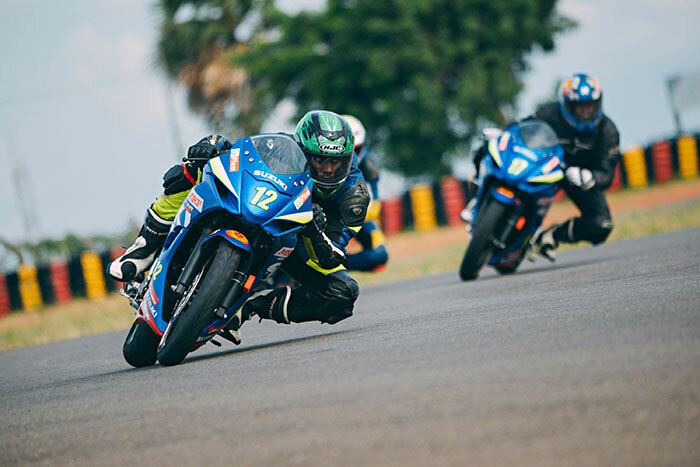 The Madras Motor Race Track also welcomed the only female racer – Swetha – to the Gixxer Cup series, showing the new series’ popularity and appeal among all motorcycle racers and enthusiasts in India. Round 3 of the Suzuki Gixxer Cup will be held during the weekend of 7th – 9th August, at the Madras Motor Race Track in Chennai. Along with chronicling the successful progress of the Gixxer Cup, the Suzuki website also has recent additions of the results and videos from the races.